Get your Geek On!! The Instant Pot Ultra 6 Quart Multi-Cooker features a whole new and improved interface from the other Instant Pot Models. This new Instant Pot Ultra 6 Quart Pressure and Multi Cooker, offers several upgrades from all prior models. It is currently available at Amazon! The Instant Pot Ultra is now available on Amazon. The Instant Pot DUO Plus is available right now on Amazon. It is an updated version of the Instant Pot DUO and has three extra program buttons; Egg, Cake and Sanitize. 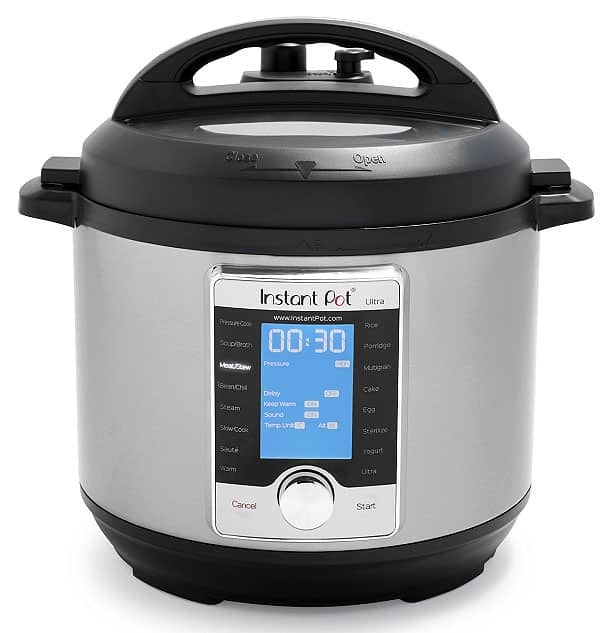 The Instant Pot Ultra 6 Quart Pressure and Multi Cooker is very adjustable and allows you to do all the cooking and baking you are used to with the Instant Pot DUO60, but adds a few more features and an updated and chic Large Digital Display. There are now more Preset Options, which include a Sterilize, Cake and Egg Button. The Instant Pot Ultra will give you unlimited flexibility in program settings and temperature. Keep in mind that these buttons are just suggested preset times/temperature and not necessarily what you should always use when cooking a particular type of food. 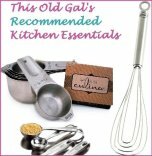 I recommend following the time and temperature that each particular recipe recommends. 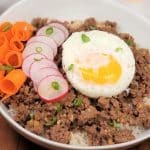 There are so many variables in recipes, that until you are a seasoned Instant Pot user, you might want to stick with trusted recipe blogs and cookbooks, for timing. I love the addition of the Dial. When you first turn the Dial, your Display will illuminate. Choose the cooking method you want and then hit Start. You can even fine tune your options and then hit Start! The Instant Pot Ultra gives you an Altitude Elevation adjustment up to 9,900 feet, for a more precise cooking time. You will need to plug in your altitude. Assuming the recipe you are following is timed for sea level, the Instant Pot Ultra will adjust the time, based on your altitude elevation. You an also chose Fahrenheit or Celsius. The new Sterilize button will come in handy when making Homemade Greek Yogurt. With a push of the button, your cooking pot and Lid will be thoroughly cleaned and provide a sterilized arena for Yogurt making. This feature is also good for using the IP Yogurt Cups and Sterilization Rack for sterilizing baby bottles! The Steam and Sterilize feature offer Low, Medium and no pressure. You can chose as little as one minute, all the way up to four hours! As always, this new Instant Pot Ultra has a Stainless Steel cooking pot, which is great for sautéing and browning. Remember to heat up your Instant Pot Ultra, before adding your oil or fat, to make the Stainless Steel cooking pot non-stick. Because you can adjust the Temperature with this new Instant Pot Ultra, you are able to experiment with Sous Vide cooking. While not as accurate as a proper Sous Vide machine, the Instant Pot Ultra will hold your temperature plus to approximately plus or minus 5 degrees. The Large Digital Screen is super easy to read and you can now see the cooking progress as your food cooks. It is kind of cool to watch the progression. You can follow your instant pot as the indicator begins to rise to Preheat, continues up to Cooking and then falls to the Keep Warm mode. That being said, I would think this feature is only good for very experienced Pressure Cooker users. It is pretty cool though! The Pressure Cooker setting allows you to choose Medium, High or None. You can now chose up to six hours of pressure cooking time, although I can’t think of anything that needs a six hour cook time. The Delay Start cooking mode is helpful when you need to run out, but want your food ready at a specified time. It is a nice feature and allows you to decide if you want the Keep Warm feature to kick in at the end of the cook time. The Automatic Keep Warm mode, will keep your food fresh and warm, until you are ready to eat. You can set the time to keep your food warm for a couple of days, if you like. The new configuration of the Lid and Pressure Valve Button, will make you more confident in performing a “Quick Release.” A push of the button will release the Pressure from the Pressure Cooker, without having to touch the Pressure Valve! 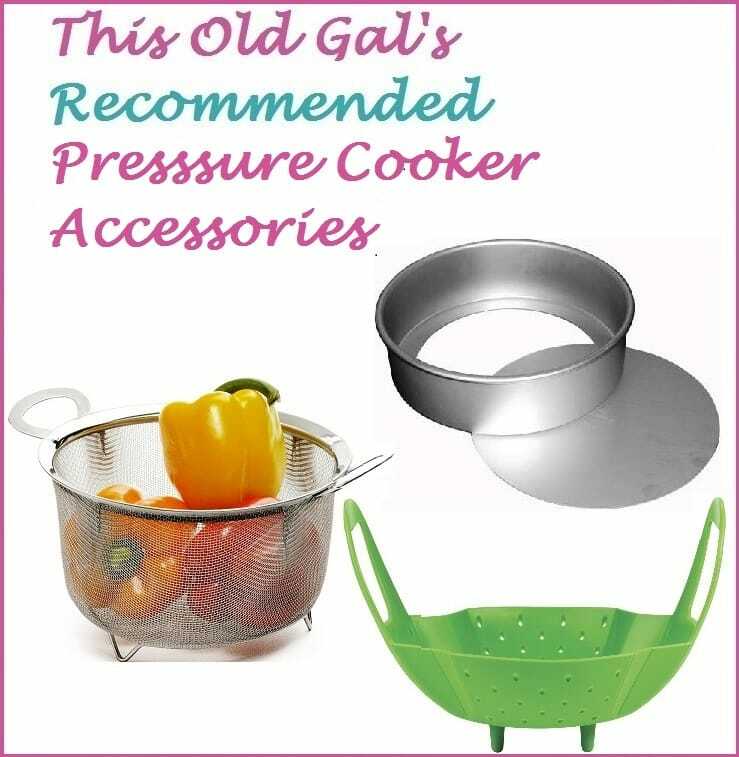 This really is not your Grandma’s Pressure Cooker! The usual Accessories for the Instant Pot Ultra will come in your box. You will get a Rice Paddle, a Soup Ladle, a Rice “Measuring” Cup, and a Stainless Steel Trivet/Rack with Handles. All in all, this new Instant Pot Ultra, looks like it is a great machine. While not as many cool and geeky funtions as the Breville The Fast Slow Pro 6 Quart, this Instant Pot Ultra gets a Thumbs Up from me. Keep in mind that the new interface may confuse new Pressure Cooker users at first. The plus side, is that it will grow with your experience and you can get your Geek On with the more accurate and visual settings and features. 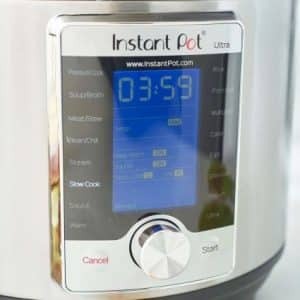 Order your Instant Pot Ultra now. Amazon is shipping now. The Instant Pot Ultra is also available at the Instant Pot website, where you can get $10 off your purchase by using Discount Code “YumPot,” when you check out. Instant Pot website prices are usually higher than Amazon, so keep that in mind. PIN this BRAND NEW! Instant Pot Ultra 6 Quart Multi-Cooker! Do you think they will eventually offer this in an 8 qt? So disappointed that Amazon pulled this and it says that it does not know when it will be available. I was going to order one to cook Easter dinner. 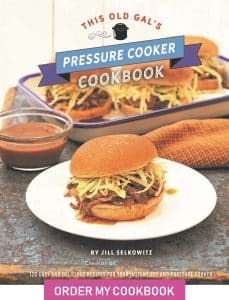 Jill I love your recipes! 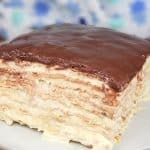 At what altitude are your recipes on your website written for? How do I convert to high altitude? I am buying a pot for my daughter- in -law. And would you recommend the ultra because it has the altitude button? Will my DUO60 extra liner and other accessories be interchangeable with the Ultra? 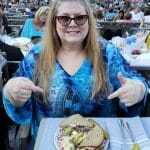 I’m brand new and love your blog! Do all of the accessories fit in this pot as well? Do you have a “must have” list of accessories for newbies? re: Bluetooth POT I have one and LOVE the pot, BUT! I have only used the bluetooth function occasionally. I thought it would enable me to start it off site LOL. I don’t do a bunch of different kinds of recipes these days so I don’t really write scripts. IF you are going to do a lot of different recipes, it could then be worth it. Otherwise I think the Instant pot ultra may be the way to go. DO NOT FEAR THE STEAM! I have a wooden spoon that I use to push my dial if I want a quick release (I think this version has a button- so even easier) Electrics are super safe, they will shut off if something goes wrong. Food is fast and delicious. No microwave cooking over here. Good luck. Hi! I’m trying to order through your link but it’s telling me that the promo code has ended. Has this code expired or is that a glitch? Hi Jill. Thank you for the invaluable guidance you provide for IP newbies! Would you comment more specifically on the differences bwt the new Ultra and the older Duo? For instance, the Ultra asks me to enter Time for the Boil function (the Duo didn’t). I entered 30 minutes but it was up to temperature much sooner. I also find the dial isn’t really intuitive- you can set the function easily, but time is harder to program. And the cancel button doesn’t shut I off – I had to unplug it. I’m sure this is user error. I love the Ultra but the manual isn’t very good. (I would not have known how to use Sterilize if I hadn’t read your instructions). Thanks! Thanks for the great review! I have a question about sous vide cooking with this unit, and how it compares to the Bluetooth model: I understand that because this does not circulate the water it cannot be as accurate as a proper sous vide machine, but how precisely can you adjust the temperature? Does it adjust by single degrees, or maybe by 5 or 10 degree increments? If the temperature control is good, I can always add a gadget to circulate the water. Does the Bluetooth model let you control temperature with the same precision, or are there only preset temperatures, which wouldn’t make sous vide possible? Why do you recommend this model over the Bluetooth? The Ultra will hold the water at a more steady temperature at =/-5 degrees. Personally, I have an Instant Pot Sous Vide Circulator and an Oliso Sous Vide Smart Hub machine. This is a personal choice and will also depend on how much you will sous vide. hi Jill. 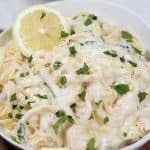 Ive followed your post since I found your yogurt instructions using the instant pot. 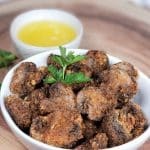 I have had trouble with culturing mine for a while and the whole idea of using the instant pot as you described intrigued me. So I bought one. Its been great and has replaced a couple of my other appliances–old pressure cooker, crockpot. I am in Colorado now and am reading what you say about the new Ultra instant pot. I would like to purchase it through your site, but it is not going through. Has the promotion you mention ended? Love your blog and FB group! I’m trying to order the ultra through Sur la table, but neither of your codes are working. Have these expired? How do you sound vide with the instant Pot Ultra? Do you set the temperature with the Ultra setting? How do I set the altitude? Hi, I am buying Instant Pot as a gift and trying to decide between Instant Pot Duo Plus and the Ultra. They will be making yogurt and using the pressure cooker. Is it worth the extra $30? Bought this new 6qt Ultra, now I am learning, I sure like what I see, bought at Sur La Table, ordered on Monday received on wed. , now to learn this Ultra. Can’t find your Bruschetta Chicken with Zoodles. Wanted to start with this one.